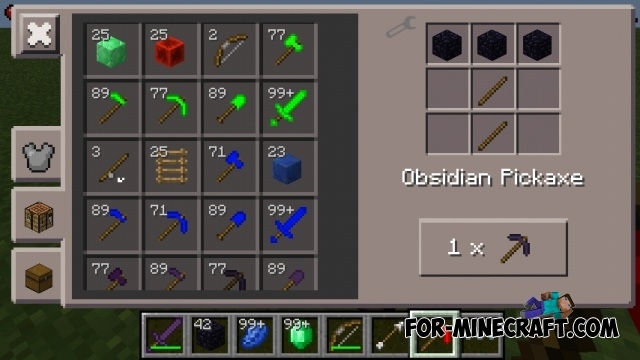 More Tools - pretty good mod that adds new tools, armor and weapons to your Minecraft PE 0.12.1/0.12.2. Great mod which diversifies your inventory. 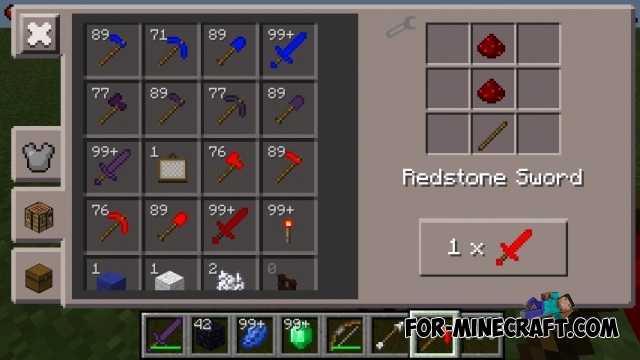 You will be able to try new items made of emerald, obsidian, redstone, lapis lazuli. 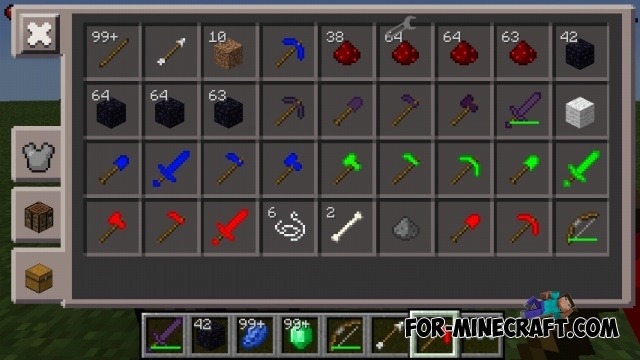 Lapis Lazuli Tools mod for 0.12.1 / 0.12.2Lapis Lazuli Tools- is quite simple and intuitive mod for Minecraft PE 0.12, which adds a new lapis lazuli armor and weapons. How to u get this mod? I think this mod would be kew in MCPE!